Android apps are designed to be updated to a higher version easily. Now, at the time of want to go back in the version, the matter is not so simple. what if you want to use a previous version? It is possible, although in such a case is not a matter of pressing a button, but you need to carry out a series of steps. We will see what they are, as well as how you can prevent an app to be automatically updated. the Entire system is designed to update applications to newer versions, and not earlier. 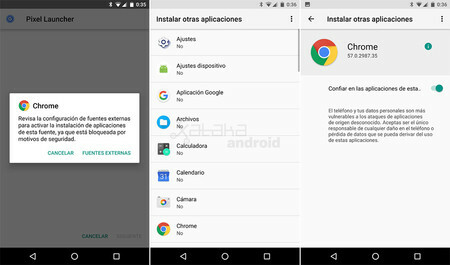 In fact, if you try to install a previous version to which you already have, Android directly will not let you, giving you the error “application not installed”. so, to install a previous version you must first uninstall the current version. 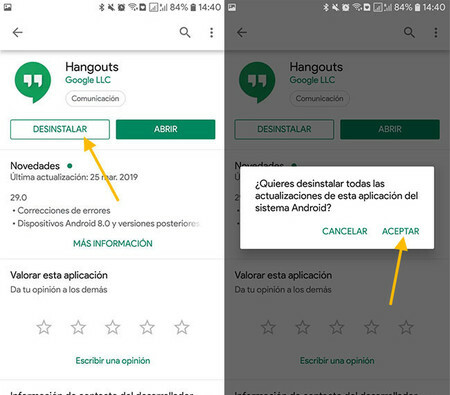 In this way, Android does not complain during installation, but has the disadvantage that you will lose all your data and configuration settings of that app. Nothing you can do about it, however: the apps are designed to import data from previous versions, but not later versions. The system is different if an application you have installed yourself or if it came pre-installed on your mobile, so that we have separated the indications to avoid confusion. The apps that you have installed you are very easy uninstall. In most launchers, it is possible to do this with a long tap on the icon of the app. 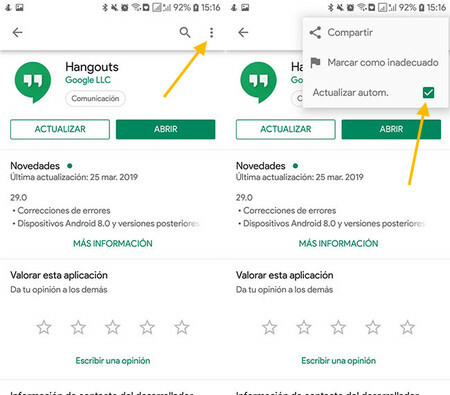 If you have trouble finding how to uninstall an application in the personalization layer, a mode that is the same in all the mobile is doing it from Google Play. Simply search for the name of the app and click on Uninstall. 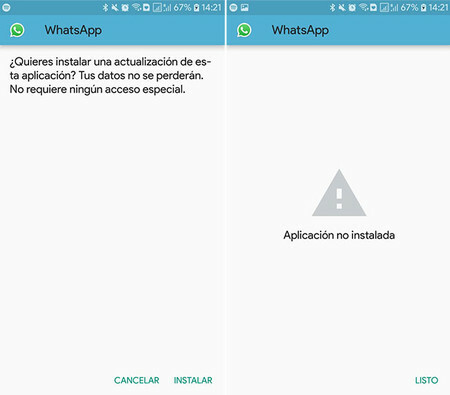 The applications of the system, that is to say, that came preinstalled with your mobile phone, can not be completely uninstall without root or inventions. What you can do is to uninstall updates, so that they will return to the initial version that came pre-installed. it Is once again possible both from settings and from Google Play, but doing so from the settings is a bit more as long as the option is a bit hidden in several layers. the Is much easier in Google Play, where the process is the same as always, pressing Uninstall. After preparing the ground, since nothing prevents you from installing the previous version. The only problem will be to find, for Google Play does not offer previous versions. 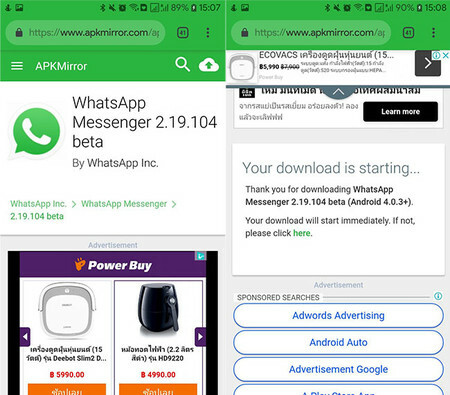 You will need to use repositories of APK as APK Mirror or UpToDown. 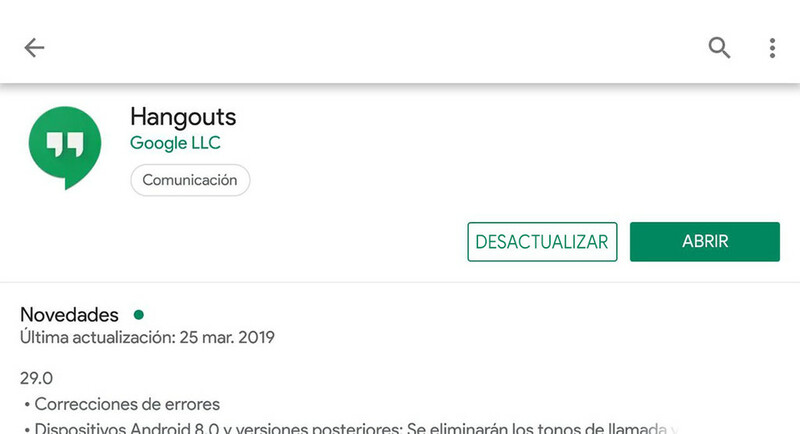 Without the app installed at that time, or with a version of the very old, you will not have problems to install this version more outdated as if it were any other app. When you install applications from outside the store, it’s possible that you need to activate the installation of applications from external sources. otherwise, the installation is the same as always. The older version will install without problems. Yes, some applications check if your version is too old and, if so, refuse to work until the update. Now that you’ve managed to install an older version it is important that you avoid Google Play update it by itself, undoing all the previous effort. To do this, find the app in Google Play and tap on the menu button. In the pop-up menu, uncheck Update automatically. In this way, you will keep the old version installed and, in theory, should not be updated by itself. If your mobile phone has another app store, such as Galaxy Store or Huawei App Gallery, it never hurts to repeat the process there to avoid that update. In the shop of Samsung, the process is exactly the same as on Google Play. 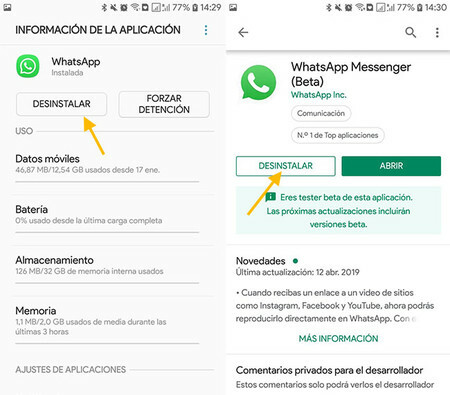 The news How to rollback to a previous version of an app in Android was originally published in Xataka Android by Ivan Ramirez .